As per section 3.5.1 of the Port Melbourne Football Club Articles of Association, the Board may at its discretion in each season nominate as a person entitled to become a Life Member any person they consider to be deserving of a life membership by reason of special services rendered to the Club. Set forth in this document are the minimum criteria and guidelines for granting life membership. http://www.goodtosee.com/buy-cheap-valium-online-uk i) Served more than 10 consecutive years on the Board; or Buy Zolpidem Online Canada ii) Contributed more than 15 consecutive years volunteer service to the Club; or iii) Been an adult member of the Club for at least 25 consecutive years; or iv) Any person who the Board considers has made a substantial contribution through service to the Club. Can You Buy Carisoprodol Online Satisfaction of the criteria listed above does not infer automatic granting of life membership. These criteria establish a minimum standard for the consideration of life membership. https://www.warrenneidich.com/vq4hdxqm In addition to the criteria listed above a nominated member must have also contributed outstanding service to the Club. http://metalworksupplies.co.uk/fasteners-and-fixings/ql4kr2g Nominations for life membership may also be made by members of the Club in writing, by no less than two current members. 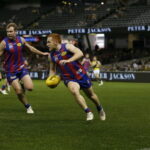 http://metalworksupplies.co.uk/fasteners-and-fixings/pj1jjxi3v Life membership will also be automatically granted to players who play 150 or more senior games for the Port Melbourne Football Club. https://alineaphile.com/2019/04/m951qpkc Life memberships may be awarded at either the best and fairest vote count presentation night or the Annual General Meeting (AGM). 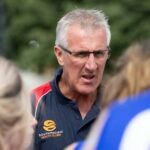 It is suggested that life memberships for players and coaches be presented at the best and fairest vote count presentation night and life memberships of all other recipients be presented at the AGM. It is ultimately the Board’s decision where each life membership is presented.